A few months ago Ty’Son Williams announced that he would be entering his name into the transfer portal. 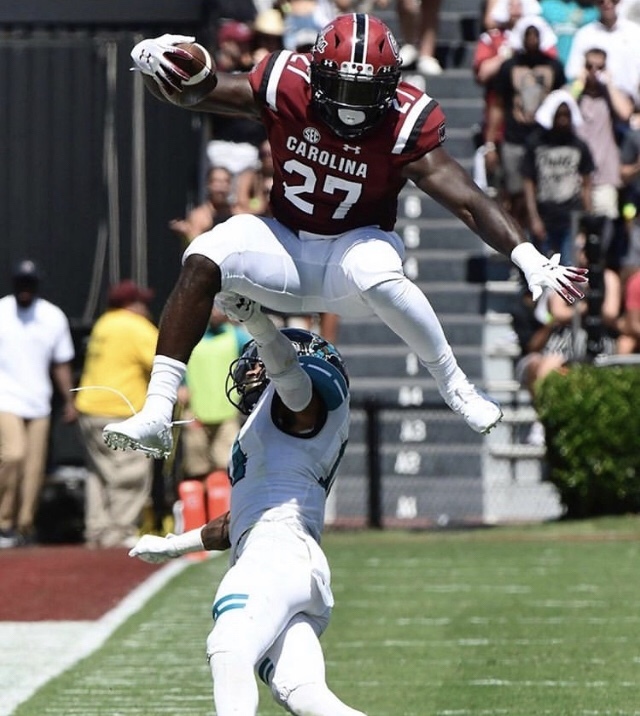 Ty’Son graduated from the University of South Carolina last year and decided to play his final year of college football elsewhere. It has been a long journey for Ty’Son who began his college football career at the University of North Carolina. He used up one season of eligibility in Chapel Hill before transferring to South Carolina for his sophomore and junior seasons. Ty’Son played a big roll for us but never really established himself as a starter. After graduating last fall Ty’Son has decided to play his final season of college football at Brigham Young University in Utah. I was personally surprised by this choice. I imagined that Ty’Son would have transferred to a school in the southeast. Ty’Son did visit Florida State, but ended up in Provo. It will be interesting to see if Ty’Son can secure the starting spot at BYU this upcoming fall. We will definitely be keeping an eye on him and supporting him in his final season of college football. Be sure to keep an eye out for news about BYU football as it may include updates on Ty’Son. He does have a lot of competition at BYU at the RB position. It will be difficult for Ty’Son to earn a starting spot in summer camp but we believe he is definitely capable. Comment below and share what you think about Ty’Son’s decision to enroll at BYU.